With summer approaching and the winter semester drawing to a close, some students are preparing for finals while others are preparing to reflect and deliver a speech to thousands. This commencement, graduating students Theresa Salas, Amy Harris and Natalie Loewengruber will serve as the first full wave of student speakers following student senate president Rachel Jenkin’s initial speech last fall. An email was sent to all graduating students inviting them to apply to speak at the ceremony. Loewengruber, who will be graduating with degrees in psychology and biology, said she was hesitant at first, but between a bit of a nudge from a friend and feelings of nostalgia, she applied to speak and was selected. For Harris, who will be graduating with a master’s degree in business administration, the chance to speak in front of her peers was both inspiring and intimidating. The opportunity provides graduates with an opportunity to not only share a message, but reflect on their experience in school. Salas said that she can look back on a plethora of memories, realizing now how they helped form powerful friendships and experiences. Salas will be graduating with degrees in communications and Spanish, filling a position at Spectrum Health as a medical translation after commencement. Moving on from community, structure and mentorship that the university has provided her, Salas said she wanted her final message to be about the thing students take for granted. 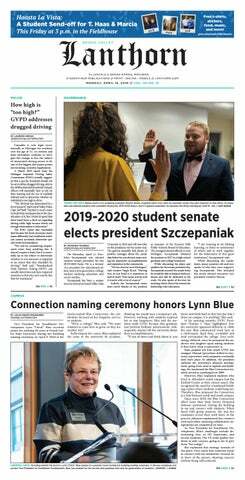 Even though she will be returning for her master’s degree in occupational therapy in the fall, Loewengruber said she will also miss the campus, which she has considered a “safe space” for the past four years. While the speech-writing process took a lot of reflection, what it really boiled down to would be the community that she would miss the most. Both an international student and facing her third graduation ceremony, Harris said she hopes her peers have the confidence she lacked when she graduated the first time. With returning home to Zimbabwe and hoping to find work in international development in England on the docket, she said that the endless opportunities should be inspiring.